First of all, please log in to your Client Cabinet. 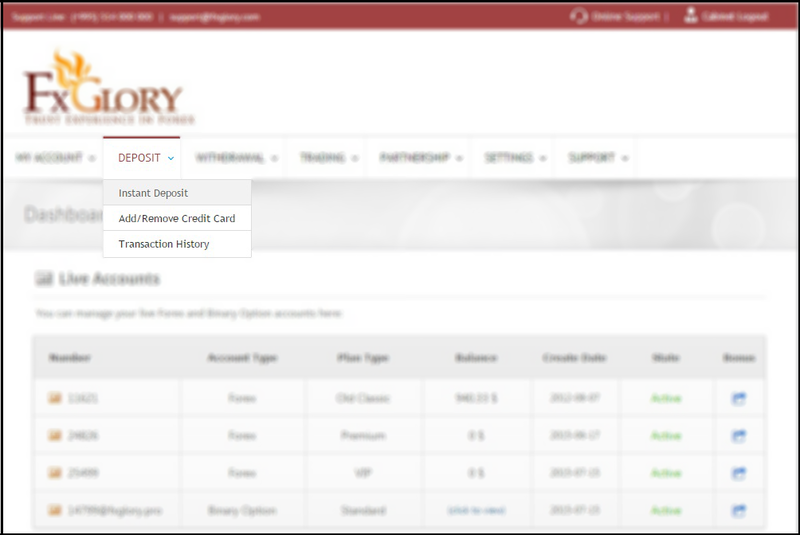 In the "Deposit" tab, choose "Instant Deposit" option from the drop down list. 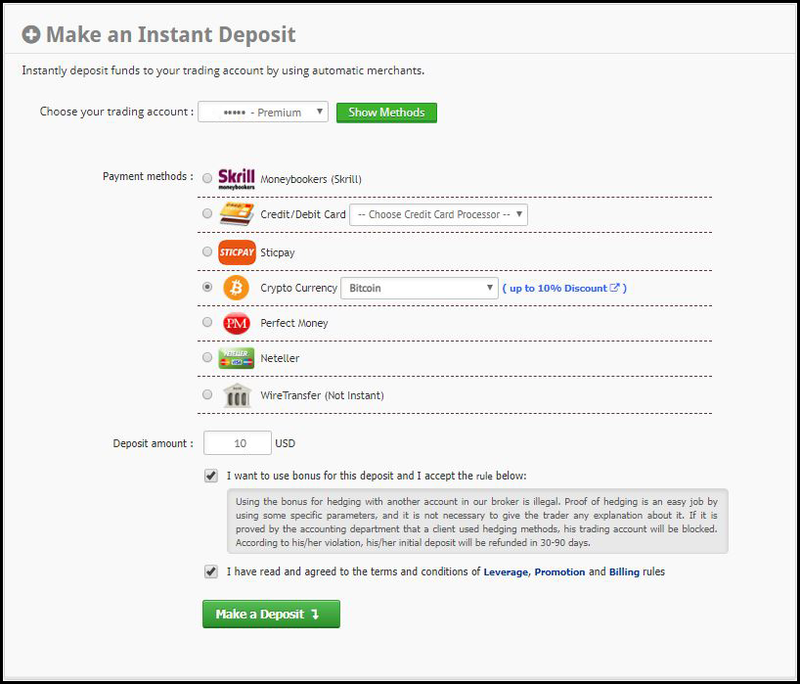 You need to choose the account that you want to deposit into and then proceed to the next step. Click on the "Make a Deposit" button in order to proceed and complete your payment. * Remember that for getting 50% bonus you must put the first tick, too.